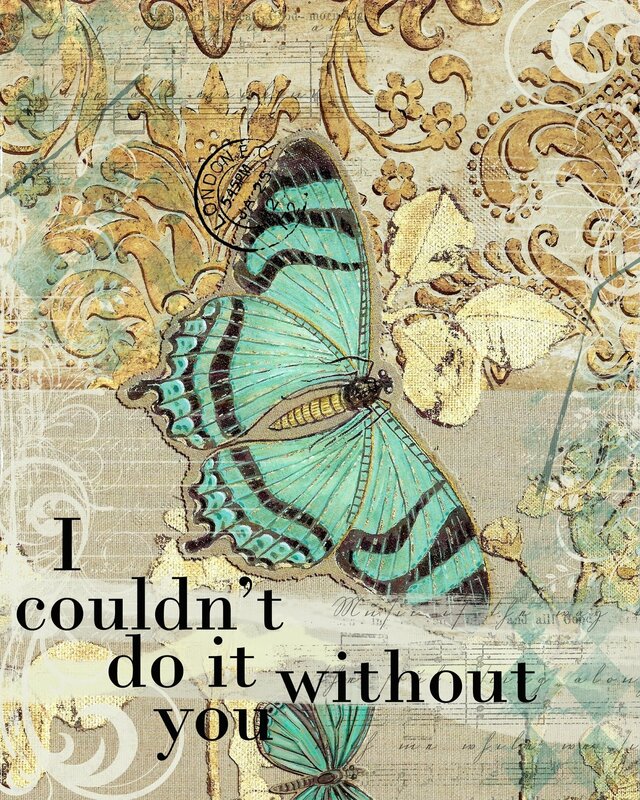 "I couldn't do it without You"
This is a print of the original mounted on ¾ “ wood substrate. With sides and back painted black and key hole on back for hanging. Looks great sitting on a shelf or in a stand as well. The print captures all the layers of vintage papers and paint. Signed and sealed with a soft gloss sealer. Products typically ship within 3 days, please allow 5-7 (US) business days for arrival.